Kindness has a ripple effect. We see it all the time. 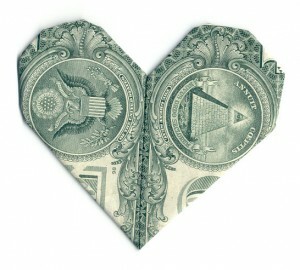 Sometimes it is as simple as holding a door, buying a coffee, or paying a bridge toll. Sometimes it is orchestrated. One of our favorite Kindness demonstrations was the surprise holiday gifts given to passengers when they arrives at their destination. The airline took holiday wishes from passengers before the flight and had the gifts waiting at baggage claim when they arrived. The reactions were magical. Kindness can be purely spontaneous. Recently, a celebrity gave up her first class seat for a service man who boarded after her. Social media lit up to share the gesture because it touched us. It was a kind thing to do. It mattered. Join us for one quick (and usually free) act of kindness each day! Check the daily post on our blog or on Facebook. Complete the act, share it, or comment to encourage others who are participating. Each daily act of kindness is designed to help you start the day with intentional kindness. Most of the acts are completely free and easy to incorporate into your normal routine. If one doesn’t fit within your day, you can select another from our list of suggestions. Click “like” on our Facebook status or favorite our tweet for the day to show you are accepting the challenge. Come back and tell us on the blog, Facebook, or Twitter about what you did. Lead a Project! Need Funding or Help? Do you want to make a big impact but lack the time or connections to reach people? We can connect you to Kindness Agents to carry out missions for you. Contact us with your needs or ideas or complete the form. 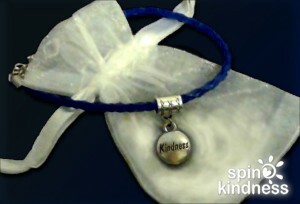 Learn how you can receive a free Kindness Reminder bracelet! Subscribe to our newsletter to get get the Daily Kindness Challenge in your email!